PAUL DERVAN: What your facebook photo says about you? What your facebook photo says about you? 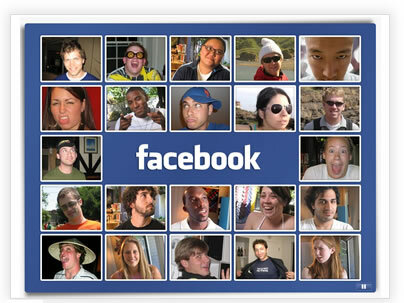 How do you choose your profile photo for facebook? Most of us do not just throw up the first photo we have. Research by Nina Jones provides some interesting results. For example, her research found that folk under age 30 are twice as likely to have a profile picture showing them at a party, while those over 30 and those in a couple were far more likely to have a child's photo as their profile picture. Would it surprise you to know that more men than women retouch their photos? The BBC article is here. Thanks Alan for forwarding on. That does surprise me actually but looking at the rise of the 'metrosexual' man, maybe it shouldn't! Thank you a lot for providing individuals with a very spectacular possibility to read critical reviews from this site. It seems I'm not like that. I think there are many people use a selfie as profile photos, and some use photos from a trip. Simple theme. Theme images by rion819. Powered by Blogger.